The newest unique Japanese drink! 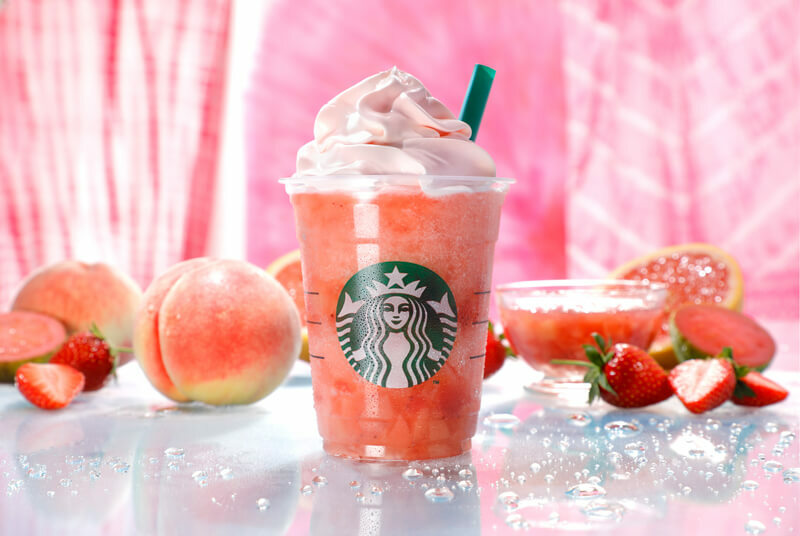 Starbucks Japan's Pink Peach Fruits Frappe! Japan is always coming out with the most unique and interesting Japanese candy and snack flavors that fit the current season perfectly. 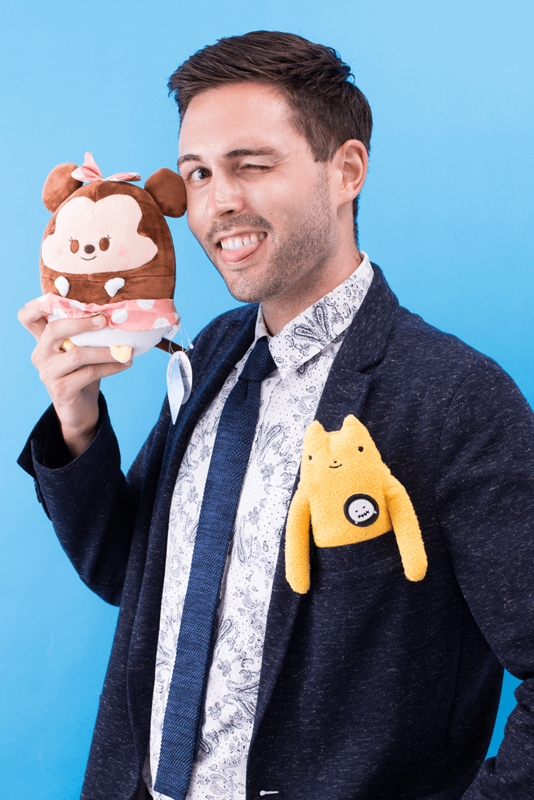 Japanese companies really tune into the current trends and make sure to fit needs that Japanese people didn't realize they might have had. Starbucks Japan is one of those companies that really take it another level though. Every season they release amazing frappes that really hype people up about going to get a drink! 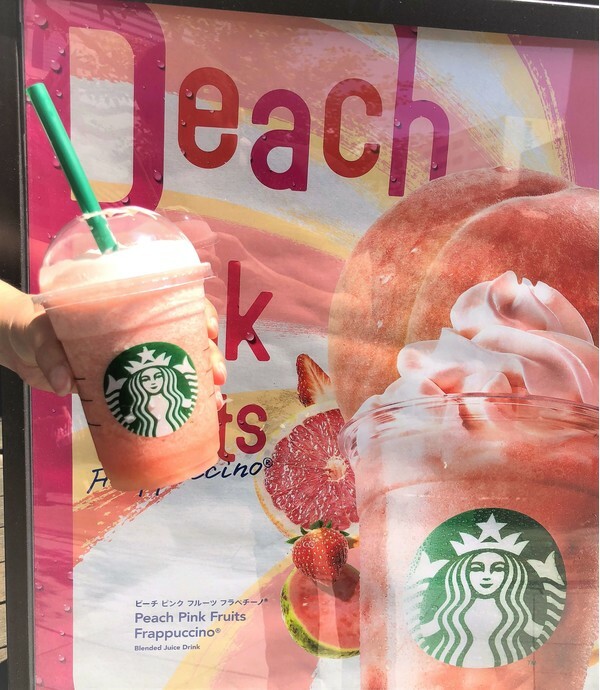 So, it is no surprise that this month they have released another hit flavor: Pink Peach Fruits! Vanessa could smell the citrus scent in the air that flowed from the Starbucks down the street and she was enchanted by the pink color. 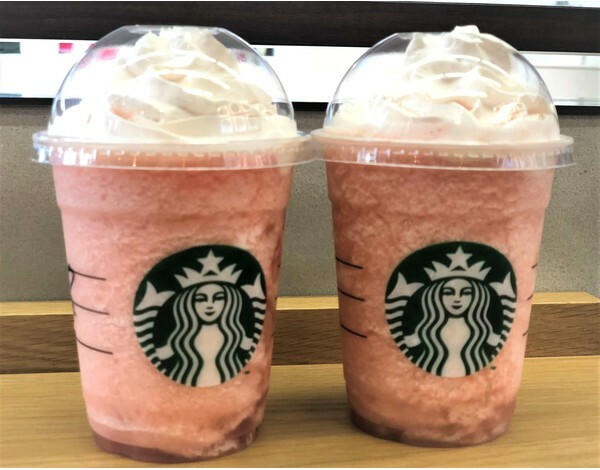 We decided to fulfill Vanessa's desire for this fruity frappe and made our way to check out this new seasonal drink! We got it! Vanessa was drooling every moment, but we managed to hold her back for a quick photo! As you can see, the drink is very pink. Even the whip cream is an off-white pink color! It actually reminded us a lot of the Sakura Frappe released earlier this year. However, this variety definitely has a lot more packed into it! The fruit choice mix is really unique as it provides a satisfying sweet and sour flavor that is truly refreshing in this insane summer heat! After we got our drinks, we were curious as to how accurately the drink matched the advertisements. We were surprised to see that it matched really well. While the whip cream may not be quite as perky, it was still very spot on! Safe to say that Starbucks is on top of their game here in Japan! Japan is well-known for making sure their Japanese snacks and food are the highest quality that they can be, so this just fits that idea as well. 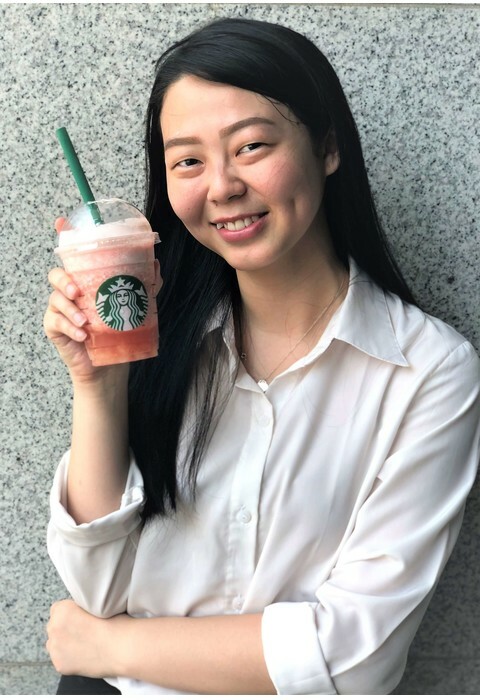 Now that we had our frappes and could be on our way, Vanessa was satisfied and was even willing to pose for a shot with her treasured drink. See how happy she looks that she got her way! We are just hoping that one of these drinks will keep her satisfied until the next crazy flavor comes out. What do you think of this drink? Let us know in the comments below if you are a fan of citrus drinks!